Some other notable events, which are detailed below, include Chinese scientists sending the farthest quantum signal between sub-orbital space and Earth and a trillion-tonne iceberg breaking off its ice shelf in Antarctica. Launched in 1997, NASA’s Cassini spacecraft dived beyond Saturn’s rings in April 2017 and became the first man-made object to enter Saturn’s planet-ring gap. 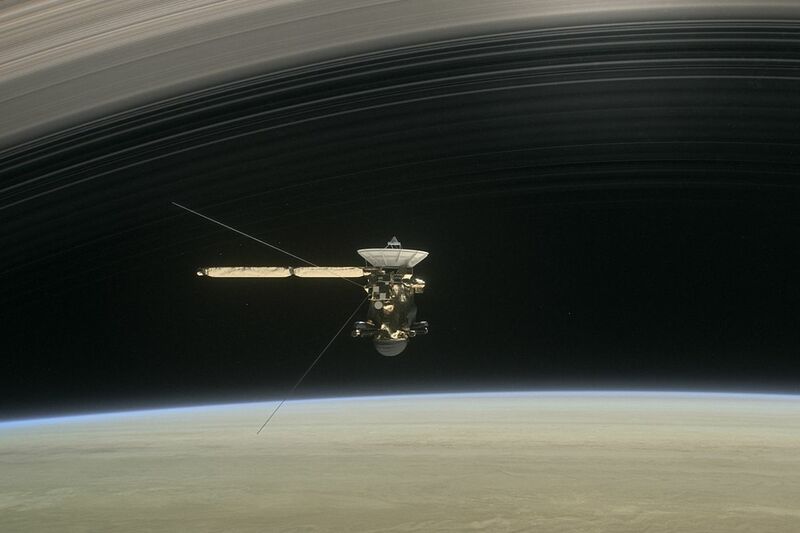 Cassini performed 22 orbits between the 2,400 km-gap, sampling ring particles and ended its mission on September 15, 2017 by plunging into Saturn’s atmosphere. The $3.9-billion mission ended after the spacecraft was deliberately crashed to avoid a future collision with Saturn’s moons to protect them from Earth-based contamination, thus preserving them for future missions. Cassini had discovered oceans and organic elements suitable for life on moons Titan and Enceladus. NASA-backed Starlight program selected tardigrades and a roundworm species as Earth’s first interstellar voyagers who would exit the solar system on a laser-powered nano-spacecraft. Tardigrades, also called water bears, are regarded as the most resilient life forms on Earth. As per an Oxford University research, the eight-legged micro-animal can survive for 30 years without food or water and endure temperatures from -270 ºC to 150 ºC. Notably, NASA’s Voyager 1 is the only spacecraft to exit the solar system, taking 35 years to do so, since its launch in 1977. The 2017 Nobel Prize in Physics was awarded to American scientists Rainer Weiss, Barry C Barish and Kip S Thorne from the LIGO/VIRGO collaboration, which first detected the gravitational waves. Predicted by Albert Einstein in 1916, the ripples in space-time were first detected in 2015. The year saw four gravitational wave detection taking the total count to six. Astronomers found the origin of heavy elements like gold, platinum, and silver in the universe with the first detection coming from colliding neutron stars instead of colliding black holes. The blast, which occurred 130 million light-years away, was detected by gravitational-wave observatories in the US and Europe and confirmed by 70 telescopes worldwide. Further, the detection of colliding neutron stars was voted as the Breakthrough of the Year 2017 by the journal ‘Science’. ‘Oumuamua zoomed past the Earth at over 90,000 kmph in mid-October. 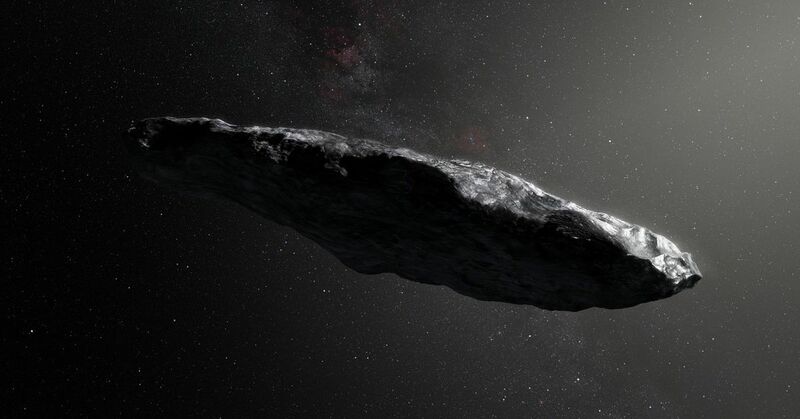 Initially thought of as a comet and later classified as an asteroid, the cigar-shaped body is being reconsidered as a comet. Fresh observations revealed a carbon-rich coating, formed when organic ices of carbon dioxide and methane are burnt in cosmic radiation. It could explain why ‘Oumuamua didn’t emit comet-like gas and dust clouds, said astronomers. NASA scientists announced in February that they discovered a solar system, 40 light-years away in the constellation Aquarius, with seven Earth-like planets that could possibly support life. Three of the planets were said to be in the ‘habitable zone’, where liquid water and possibly life might exist. It was the first time that so many Earth-sized planets were found orbiting the same star. The discovery was majorly made by NASA’s Spitzer Space Telescope and ground-based TRAPPIST telescope, therefore the name TRAPPIST-1. The telescopes detected the system by measuring the star’s brightness over time. When the planets passed in front of the star, its brightness slightly fainted. The duration and depth of these changes in brightness were studied to identify the seven exoplanets. NASA’s planet-hunting Kepler space telescope made its latest discovery using Google’s artificial intelligence (AI), where scientists found the eighth planet around a Sun-like star Kepler-90, which is 2,545 light-years from Earth. This made Kepler-90 the first to tie with our solar system in terms of number of planets. The AI was trained to look for changes in the star’s brightness, which suggests a planet passing in front of it, to find the previously missed planet. In July, a trillion-tonne iceberg measuring 5,800-square-km, nearly four times the size of London, separated from Antarctica’s 200–600-metre-thick Larsen C Ice Shelf, making it one of the biggest break-offs ever recorded. The rift, which was being monitored for over a decade, had grown by 17 km in 6 days in May, speeding up the separation process. The project scientists remarked that the break-off was not driven by climate change. In February, scientists confirmed the existence of a new continent ‘Zealandia’, a 4.9 million-square-km region in the Pacific Ocean comprising of New Zealand and a French island territory. It is “geologically separate and distinct from Australia and Antarctica”, being the thinnest, most-submerged continent, with 94 percent of the landmass underwater. Researchers estimated Zealandia broke away from the Gondwana super-continent roughly 75 million years ago and said it should be considered a new continent as it met all four attributes necessary to be considered a continent. In January, a team of Japan-based researchers suggested that silicon was the unknown element which made 5% of the Earth’s core, known to consist mainly of iron (85%) and nickel (10%). By simulating the temperature and pressure conditions of the Earth’s core, scientists showed that silicon dissolved into iron-nickel alloys could be accounted for the remaining 5% of the core. Chinese scientists in June successfully used their quantum satellite to transmit ‘entangled photons’ covering a record distance of over 1,200 kilometres from suborbital space to Earth. Photons are elementary particles of light which when entangled (paired) remain connected, implying changes in one affects the other. Scientists are developing global-scale “quantum internet”, which uses quantum bits instead of classical bits. While classical bits can store either 0 or 1, quantum bits can superpose both (00, 11, 01, 10) to store more information. Further, any interference between the transmission nodes of quantum entangled data bits changes the encryption key, which renders the signal “unhackable”. In September, Austrian and Chinese researchers successfully conducted the first-ever quantum-secured intercontinental video call between Vienna and Beijing using the Chinese quantum satellite ‘Micius’. In January, Irish professor J Calvin Coffey claimed to have identified a new organ called ‘mesentery’ in the human body, connecting the abdomen to the intestine. Previously thought to be a group of structures, it has now been classified as one continuous organ. Although the function of the organ is still unclear, scientists believe abdominal diseases can be categorised in terms of this organ. This increased total number of organs in the human body to 79. US-based researchers identified that the human appendix, which is often viewed as a vestigial organ with little-known use, may serve as a reservoir for beneficial gut bacteria. Mammals with an appendix were found to have higher concentrations of lymphoid tissue in the cecum, a pouch from which the appendix develops, suggesting that appendix serves as a secondary immune organ.